Our research team continually updates telecom and colo data directly from providers and adds new fiber & lit building data weekly. FiberLocator features the best geo coding technology and up to date base maps from Google. Get the data you need in the format of your choice: single maps and lit building data, online access or data via an API. FiberLocator is the most trusted online database, used in a wide variety of industries by all kinds of professionals needing quick access to high quality telecommunications information. FiberLocator gives you access to fiber maps, lit buildings and data centers. We have the telecom research data that’s difficult to find all in one place; hundreds of carrier’s fiber maps and over a million fiber lit buildings. 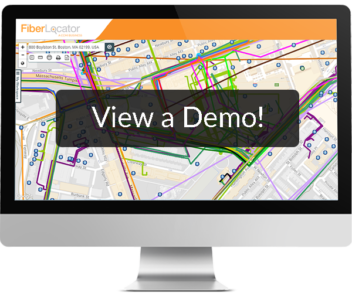 FiberLocator saves you time hunting for information from multiple providers and serves as your at-the-ready research and planning tool for any telecom or data center project. 2019 is off to a great start with 330 unique carriers for fiber maps and 395 map layers. See the latest and greatest FiberLocator numbers!